Overdrive distorted amplifier. Get dynamically controlled light overdrive on clean sounds. Distortion level can be controlled by pick attack and pickup strength. 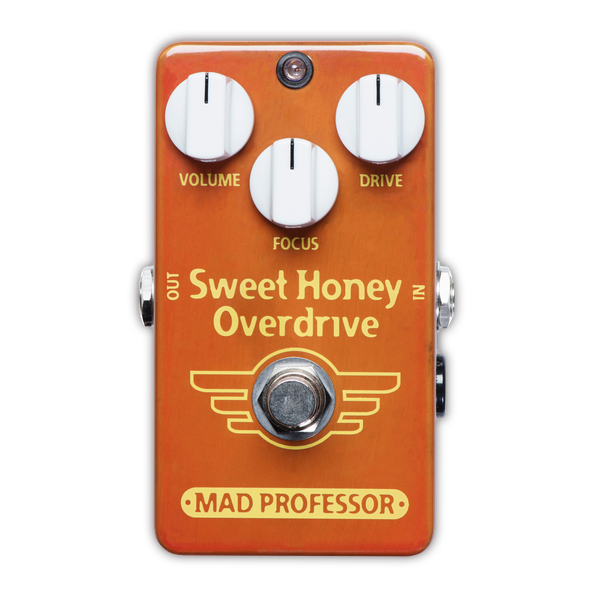 Harder picking for overdrive and softer for a cleaner tone. With the unique Focus control, you can adjust the feel and dynamics of the pedal as well as overall EQ.Turning Focus CCW you need to play harder to get distortion and the tone is softer, great for jazz and blue. Focus turned CW gives a slight treble boost and earlier distortion. Like all Hand Wired MP pedals, SHOD is hand made in Finland using only premium components, to give years of trouble free operation with superb musical tone.